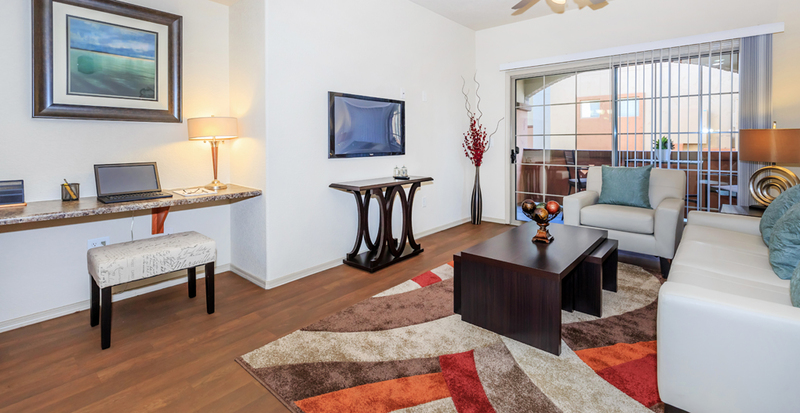 Del Mar Apartments offers flexible application approval, and leases of 6 to 14 months! * Located at 85th avenue on West McDowell Road, it is a beautiful gated community. Del Mar leases condominium quality one, two, and three bedrooms that range from 819-1408 square feet. Garages are available, and covered parking is provided for every unit! 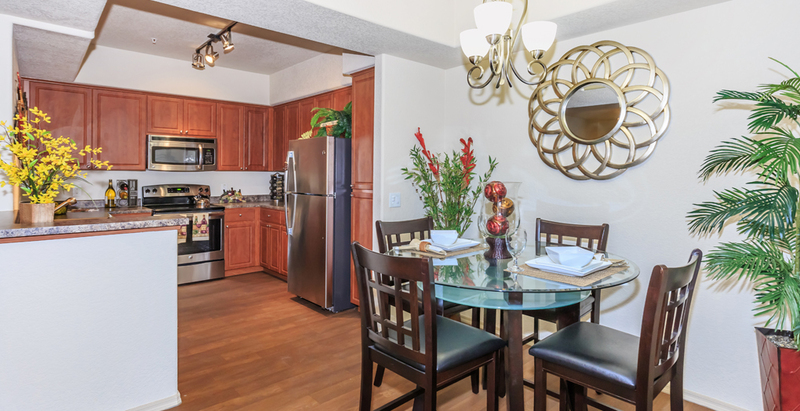 Every unit has tile entry and wood-vinyl flooring, four-speed ceiling fans with dimmable lights, stainless steel appliances, designer lighting and cabinetry. Microwaves and icemakers are included, along with full-sized washers and dryers. Satellite dishes are welcome! 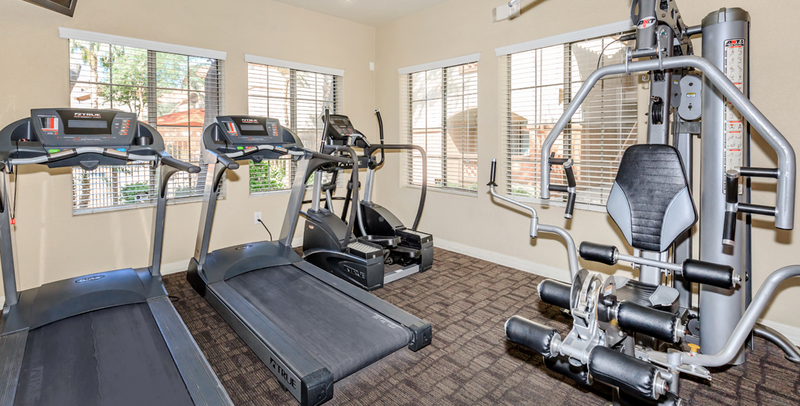 Residents can enjoy the sparkling pool and spa, 24-hour fitness center with HDTV, business center with free printing available, BBQ grills, free movie rentals, and more! WiFi is streamed to the Clubhouse, pool area, and the business center. The community is conveniently placed adjacent to Desert Sky Mall, Ak-Chin Pavillion Amphitheater, Gateway Pavilions Retail Center and Banner Estrella Medical Center. Del Mar is just a short walk away from the nearby elementary schools, middle schools, and high school bus pickup. The community is also pet friendly! Dogs are accepted by breed, not weight. 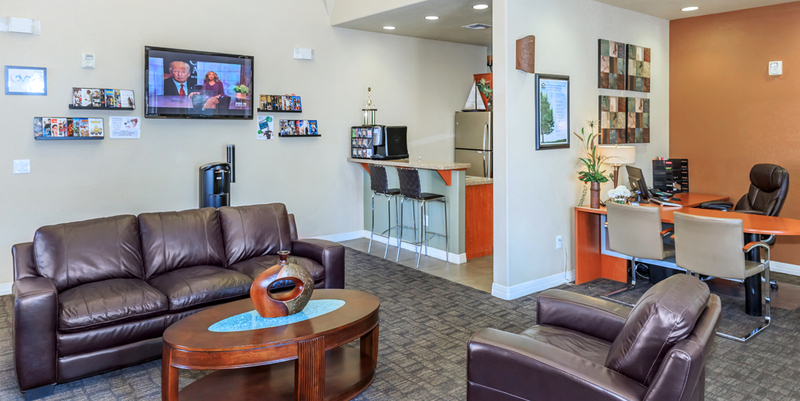 Del Mar Apartments provide an outstanding living experience, including a strong Management team that is dedicated to the highest level of maintenance and service to each resident. *Leases under 12 months are subject to short-term lease fee. *Features may vary per unit.